** PROMOTION CODE INSTRUCTIONS ** Please note that when using a promotion code, you will not be charged when enrolling into a class. After you enroll online, we will need to apply the promotion code manually to your account and charge your credit card on file. The system will walk you through saving a credit card on file for us to charge to after you enroll. ** NOTE ** When buying class cards for fitness classes, please ensure you also enroll yourself into any one of the cardio classes. If you have never used this system before for registering for DI classes, please follow these simple instructions. To get started, click on the "REGISTER" link on the home page. Step 1 - You will first need to create a family profile (even though you might be the only one enrolling). Step 2 - Click on "ADD STUDENT" and enter information about the family member (or yourself) that wants to enroll in a class. Step 3 - For enrolling a student in a class, click on "ENROLL IN A CLASS" next to the student name. The next page will be the schedule of classes. Step 4 - Review the classes you have enrolled in. Please note that you need to complete step 5 for confirming your seat in classes enrolled. Step 5 - Follow the payment instructions for confirming your seat in classes enrolled in the previous steps. If you have any questions, please contact us at info@danceidentity or call us at 408-757-9629, 408-824-4309. 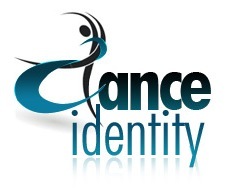 Already Registered with DANCE IDENTITY? If you have taken classes before with DANCE IDENTITY and you have given us your e-mail address, try the forgot your password link. If not, please contact the office to give us your e-mail address and to set your password.